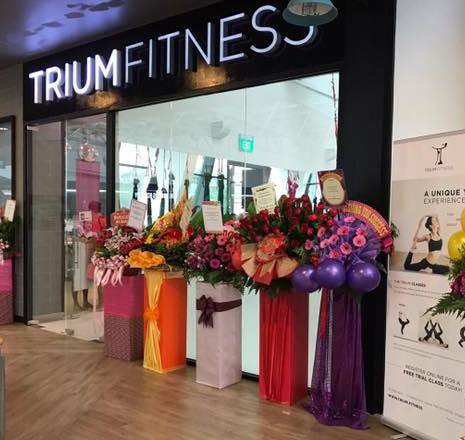 Yoga & fitness studio Trium Fitness operates within Singapore’s Aperia shopping centre, at 12 Kallang Avenue. Open to customers since 2016, Trium Fitness is a yoga & fitness studio popular especially for their Aerial Yoga classes. In addition to Yoga, Trium Fitness also has classes for Pilates, HIIT, Zumba & Muay Thai. …a member’s lounge, pantry, lockers, reception area with shop for in-house yoga accessories & yoga apparel from leading brands, plus Zen Studio and Urban Studio facilities. From time to time, Trium Fitness organizes innovative workshops where they offer exclusive, enjoyable fitness experiences (such as Blindfold Yoga). You’ll find the fitness studio at a convenient location, within a walking distance of Lavender MRT. The official Facebook brand page for Trium Fitness is located at www.facebook.com/TriumFitness/. You can also follow the official Trium Fitness Instagram account, which in turn is available at www.instagram.com/trium.fitness/.